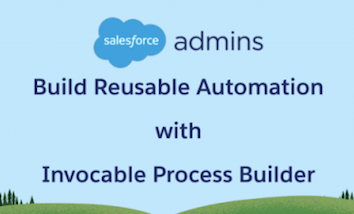 Flow Builder is a hugely powerful tool that can help both admins and developers build solutions on the Salesforce Platform… fast! The first time I witnessed the true power of Flow was right before Dreamforce ’18. We were working on a fun activation to enable admins to discover their #AwesomeAdmin Superpower when we learned the tool we were going to leverage was no longer viable. She then introduced me to Flow Builder. 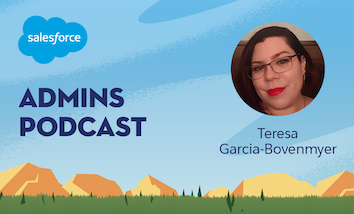 Within a week, Teresa had her team build a solution for us that was actually BETTER than what we had planned on using—hear the full story on the Admin podcast! Now it’s your turn. Get ready to deliver innovation by automating business processes with Lightning Flow. Be an Innovator with Flow will take you through the process from start to finish. And anyone can build flows! With help from our Salesforce Admin and Developer evangelists, you’ll learn each step over 10 days. We’ll also suggest a Trailhead module to help you go deeper into the topic. You can either follow along by building the same flow or apply the skills you learn to build a custom one for yourself or your company. Sound good? We thought so. Watch every video to the end to learn what to share on Twitter with hashtag #BeAnInnovator so you can be entered for a chance to win 1 of 18 prize packs including an Admin T-Shirt, beach towel, and a waterproof dry bag. See the official rules for full deets. But that’s not all! 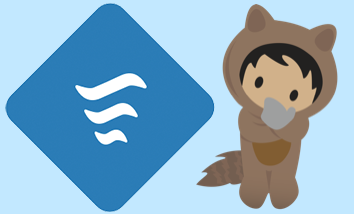 Want an exclusive Be an Innovator with Flow community badge for your profile? Of course you do! 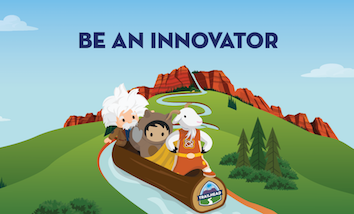 Join the Be an Innovator with Flow quest by completing the trailmix between April 19 and May 31, 2019 to earn yours. Plus, to help celebrate Earth Month this April, every trailmix completed by May 31, 2019 will unlock a $20 contribution to The Nature Conservancy (up to a total of $10,000). Before we jump in and build an automated business process together, we have some advice for you from our experts. Firstly, it’s important to ensure you clearly understand your underlying business process and know exactly what your automation is going to achieve before you start building your flow. When you think about what you can automate, look for business processes with high impact—the tasks that either take your users the longest or require them to remember too many steps. And finally, keep in mind the type of flow that will work best for your process. Things that always need to be done in conjunction with another task (for example, creating a work order when closing a case) but don’t need additional user inputs are good candidates for an auto-launched Flow or process. Joining the adventure is easy. 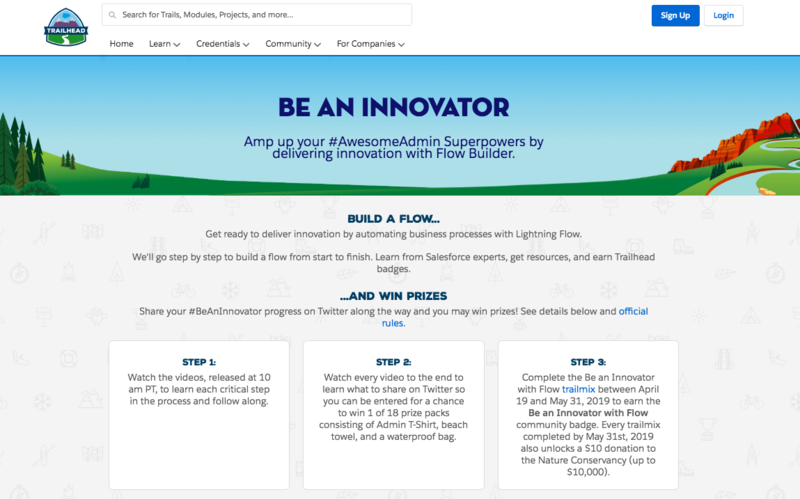 All you have to do is visit the Be an Innovator with Flow page at 10 AM PDT on April 19, 22, 24, 26, 29, and May 1 when each topic-specific video unlocks. 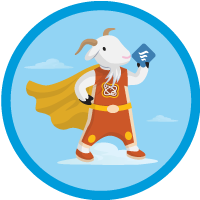 Watch the video, complete the recommended module, and earn the badge. And follow along with us (or build your own unique Flow using the same principles). If you have questions or get stuck along the way, simply post in the Admin Trailblazers group using #BeAnInnovator. Join us and Be an Innovator with Flow. Our tips and tricks will help you succeed, and the valuable examples we share will get you thinking about how you, too, can be a master Flow Builder in no time. NO PURCHASE NECESSARY. VOID WHERE PROHIBITED. Be an Innovator Daily Sweepstakes runs 4/19/19 12:00am PST to 5/6/19 11:59pm PST. 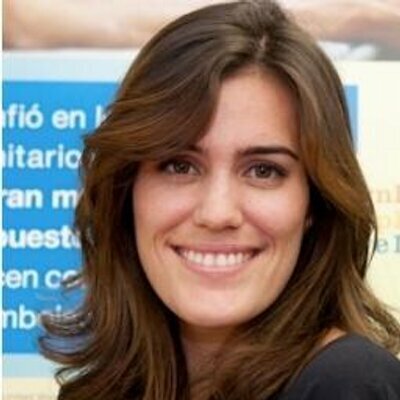 Sweepstakes open to legal residents of the U.S. (incl. D.C.), Canada (excl. Quebec), France, Germany, India, Ireland, Japan, Netherlands, New Zealand, Spain, and United Kingdom. Must be 18+ (20+ in Japan). Restrictions apply. See Official Rules.